With his bold form-making and confidence in tackling problems on an urban scale, Roche stands out as a visionary among the late modernists. Green roofs anyone? They may be the latest craze among eco-conscious designers, but it is impossible to find a better or earlier example than the 1961-68 Oakland Museum. And how about the greenhouse atrium, an architectural spectacle over-worked in hotel and office lobbies in the past four decades? The first remains the finest, at the Ford Foundation Building of 1963-68. And if you thought that no megastructures of the 1960s ever walked off the pages of visionary architects’ notebooks, you missed the New Haven Veterans Memorial Coliseum (1965-72, and tragically demolished in 2007.) These are but three examples of masterful works by the firm of Kevin Roche John Dinkeloo and Associates that effected paradigmatic shifts in modern architecture. The legacy of one of the finest and most influential — and controversial — architectural firms of the 20th century is ripe for fresh examination and three recent media events — an exhibition, a symposium and the publication of a major book — compel us to do so. They are the outcome of a multi-year research project directed by Yale School of Architecture Associate Professor Eeva Liisa Pelkonen, which in turn is a sequel to Pelkonen’s prior work on the architect Eero Saarinen, which yielded a similar triad of exhibition, symposium and publication in 2006. 1 Kevin Roche and John Dinkeloo met in the Saarinen office, where Roche was Saarinen’s indispensible lead designer and Dinkeloo directed the firm’s production. Upon Saarinen’s sudden death in 1961 the pair assumed control of the firm, completing a series of highly significant projects then in construction or on the boards (including Dulles Airport, the CBS Building, Bell Labs and the St. Louis Arch) after which, in 1966, they seamlessly transitioned into their own independent practice. After John Dinkeloo’s death in 1981, Roche continued solo at the helm of the firm, a position he retains today, at age 88. In 2002 Kevin Roche donated Saarinen’s archive to Yale University, which act of generosity both precipitated and enabled Pelkonen’s work on that architect, and a few years later he followed up with the gift of his own archive. Taken as a whole Eeva Liisa Pelkonen’s admirable scholarship and curatorial efforts recapitulate the trajectory of the Saarinen-Roche creative enterprise. The exhibition is organized in thematic sections entitled Spaces for Display and Spectacle (featuring museums and exhibition pavilions), Workspace and Workflow (office buildings), Context and Community (a fuzzy category that tries to make a case for Roche as a contextualist but leaves the viewer more in awe of his large urban redevelopment schemes), the Greenhouse and the Garden (fusion of landscape and architecture), and Big (really big projects; many comprehensible only from aerial photographs). The categories loosely correspond to building types but are mutable, as most of the projects featured could be included in more than one of these divisions. This, of course, is true to the Roche oeuvre. Like the work of his mentor Saarinen, Kevin Roche’s designs are not easily categorized or packaged into a single coherent narrative. The buildings and unbuilt projects are represented by large-scale, high quality photographic prints, models, copies of KRJDA’s famous program analysis diagrams and other presentation materials that the office employed, including photomontages that combine model shots with site photographs to dazzling, seductive effect and produced decades before Photoshop. Absent from the exhibition is the hand of the master. Aside from a beautiful rendering from his school days and one vitrine with a set of small sketches for the Ford Foundation Building, there is no evidence that Kevin Roche ever drew. I mean this not as a criticism, but an observation on the nature of Roche’s practice and means of architectural production. Unlike his contemporaries Paul Rudolph, Robert Venturi and Louis Kahn, who rendered their way up the architectural ladder starting with small houses, many unbuilt — and saved stacks of drawings to prove it — Kevin Roche, with John Dinkeloo, inherited a fully formed corporate office. From the beginning their design process was a group effort, guided, to be sure, by Roche’s strong vision but requiring many hands to produce. In a television interview with Barbaralee Diamondstein, included in the show, Roche explains that he likes to design his buildings in model form because it’s a process that involves many people and gives the entire design team a sense of meaningful participation. This is an admirable sentiment as well as pragmatic — a continuation of the productive system that nurtured Roche in the Saarinen office. Skillfully integrated into the show are examples of Roche’s sophisticated and forward-looking engagement with electronic and cinematic media. Notable are his collaborations with Charles and Ray Eames, who produced wonderful films to provide content for Roche-designed projects such as the IBM Pavilion at the 1964 New York World’s Fair and the unbuilt National Aquarium (1966) in Washington, DC., or to sell skeptical airline executives and government officials on Saarinen’s and Roche’s novel concept of mobile lounges to transport passengers from the terminal to aircraft at Dulles Airport. The show also includes examples of Roche’s famous slide shows, which led many a corporate client to comprehend and endorse his radical proposals. One sequence of projected diagrams that Roche prepared for the board of the Ford Foundation illustrates the deconstruction of a typical office tower into a terrarium ringed by work space, making the radical reimagining of the urban office building seem an exercise in simple logic. This is virtuoso PowerPoint forty years before the invention of the program. The published volume bears the same title as the exhibition and the added burden of being a catalogue raisonné of the work of Kevin Roche John Dinkeloo and Associates. In curating the exhibition, Pelkonen et al. necessarily edit the firm’s oeuvre to a manageable number of featured projects, but the book devotes half of its pages to a “Project Portfolio, 1961-2010”: an illustrated checklist, with project data and descriptions provided by the firm, of presumably every project produced by the firm over those years. As such it is a valuable contribution to the study of late 20th-century American architecture, but it also reveals the unevenness of the firm’s product as it ranges from the iconic and seminally creative institutional work of the early years through the increasingly gargantuan suburban corporate buildings of the 1970s and ’80s and the sometimes banal developer projects of more recent years. Eeva Liisa Pelkonen offers a comprehensive overview of Kevin Roche’s career and positions his work within the context of late 20th-century architecture in her excellent title essay, which will surely stand as the definitive text on Roche for years. 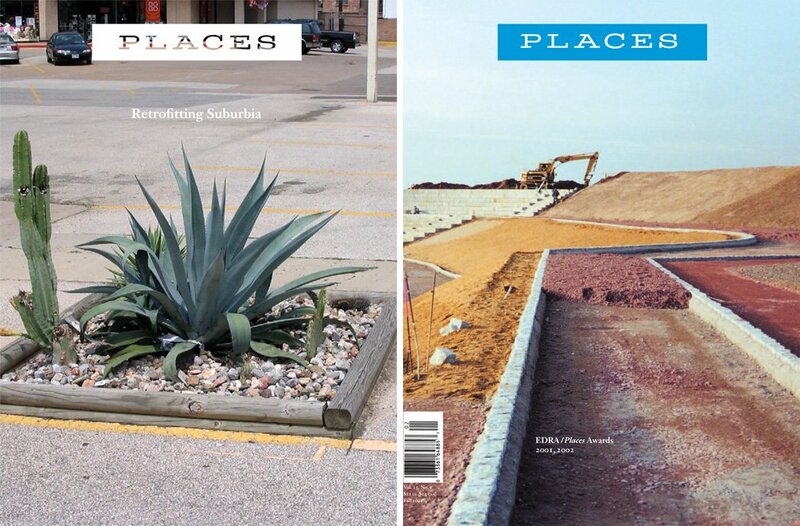 Shorter, more focused essays examine particular building types. In “Designing for the Workflow,” Olga Pantelidou does a particularly fine job taking a hard-to-love building type — the suburban corporate headquarters with its open-office landscape — and examining Roche’s application of systems analysis to understand his clients’ operations and to create diagrams that became highly original and humane building designs. David Sadighian contributes “Museums without Walls,” which looks at Roche’s radically innovative and self-consciously populist design for the Oakland Museum (1961-68) and compares it to the firm’s master planning and multi-phased construction efforts for the Metropolitan Museum of Art, which guided that august and encyclopedic institution into the era of blockbuster shows and gala social events. Kathleen John-Adler, in “The Gardens, the Greenhouses, and the Picturesque View,” discusses Roche’s mastery at integrating his buildings with the landscape (Oakland Museum, Wesleyan University Center for the Arts) as well as his projects that ingest nature into their interiors, from the seminal Ford Foundation Building (1963-68) to the outsized crystal palace of the John Deere Education Center (1980, unbuilt.) The final chapter of the book is a lengthy set of excerpts from interviews conducted by Pelkonen with Roche in the fall of 2008, which add a welcome humanizing element to the project and a taste of Kevin Roche’s intelligence and wit. One figure conspicuously missing from exhibit, book and symposium is John Dinkeloo. After all, in addition to the projects inherited from Saarinen, the buildings most prominently featured — and certainly those best-known — are the work of Kevin Roche John Dinkeloo and Associates executed before Dinkeloo’s death in 1981; but Roche here is given one hundred percent credit for the designs. Like victors in war, survivors of partnerships get to write the history; but I do not suggest that Kevin Roche would knowingly diminish the contribution of his partner of 20 years. In fact, Roche calls Dinkeloo the “strong” one who was confident that their partnership would succeed, and to Dinkeloo Roche gives full credit for the firm’s groundbreaking work developing new construction materials like mirrored façade glass and Corten steel — an R&D component of the practice that is intrinsic to its greatness. Pelkonen’s project keeps the spotlight tightly on its nominal subject and thereby threatens to write others out of the plot. It is the scholar’s obligation to sort out the credits for a firm’s work, but perhaps this task will have to wait future, more critical studies of KRJDA. A prominent journalist who has written about Roche and Dinkeloo suggested to me that while he wasn’t a designer, John Dinkeloo was a good critic and editor of architectural form and that as the “technical” partner he had a steadying hand on the practice. 3 I cannot imagine that any junior partner who assumed that role after Dinkeloo’s death would have been able to say no to Kevin Roche as effectively as Dinkeloo probably did, from time to time. It is safe to say that the firm’s greatest work was designed and built prior to Dinkeloo’s death, though to be fair, the 1980s was a bad decade for architecture generally, and many distinguished practitioners took misguided detours into postmodernism. A string of office towers shaped like classical columns add nothing to Roche’s reputation, and the juxtaposition of the polychrome and Mansard-roofed UNICEF Headquarters of 1984-87 with the bold, crystalline United Nations Plaza hotel and office complex of 1969-75 is unfortunate indeed. An architect who worked in the Saarinen office in the 1960s, during the transition years, pointed out to me that the great buildings produced by the firm during that decade were the work of a supremely talented team of designers assembled by Saarinen that included, in addition to Roche and Dinkeloo, Cesar Pelli, Warren Platner, Harold Roth, Anthony Lumsden, Paul Kennon and others. Even before those men (and they were all men; there were no women in positions of influence in the office aside from Aline Saarinen, who midwifed the delivery of the firm into Roche and Dinkeloo’s hands) saw the names Roche and Dinkeloo go up on the door they knew that there would be no room for them at the top and, by 1970, most of them had left, draining the original pool of talent that made the firm great. 4 Kevin Roche John Dinkeloo and Associates grew to exceed the Saarinen office in size and longevity but not in sustained quality. Architects and scholars convened at the Yale School of Architecture February 17-19 for a symposium entitled “Thinking Big: Diagrams, Mediascapes, and Megastructures.” Billed as a platform to “explore Modern architecture as part of larger environmental, symbolic and technological systems,” the conference was, in fact, a three-day celebration of the work of Kevin Roche. As such, it was a somewhat peculiar and constrained affair, as would be any conference on a subject who was sitting in the room the entire time (and likely taking notes: Kevin Roche has a reputation for being “prickly” and nurturing grudges). While not quite a festschrift, the proceedings were exceedingly polite (a tone reinforced by the fact that the conference was the 2011 edition of the J. Irwin Miller Symposium series and, as such, was underwritten by one of Kevin Roche’s most important patrons, the Miller family of Cummins Engine Company). Of the dozen or so speakers all but perhaps two focused on the iconic projects that Roche and Dinkeloo completed under the name of Eero Saarinen Associates or designed in the early years of their independent practice. For every one image of a KRJDA postmodern office tower or suburban office complex, conference attendees saw fifty pictures of the masterpieces of the 1960s and ’70s, such as the Oakland Museum, Ford Foundation Building, Wesleyan University Center for the Arts, and the Knights of Columbus tower. In the end it was Kevin Roche himself who pointed out this imbalance when, in touching closing remarks, he commented that the preceding days’ talks had made him feel like he had retired in 1980 while in fact he was still very much in practice and looking for new work. Kevin Roche’s reputation has taken some knocks in recent years. In New Haven it is hard to find a non-architect who was not pleased by the demolition of the Veterans Memorial Coliseum, which to many was an emblem of the heavy hand of urban renewal and the antithesis of the popular credo of “human scale” in architecture. And being identified as corporate America’s favorite architect in time became a dubious distinction: With his designs for suburban corporate headquarters Roche came to be seen as complicit in the exodus of wealth from our cities, and only two years after the completion of his Union Carbide Headquarters in Danbury, CT, an incident at that company’s facility in Bhopal, India, caused the most lethal industrial accident in history, ruining the company’s name and casting deep suspicion on multinational corporations as a group. Today, however, a growing number of younger architects are looking at the work of the so-called third generation of modernists and are finding much to admire. With his bold form-making, confidence in tackling problems on an urban scale and deft handling of architectural image prior to the media saturation of the profession, Kevin Roche stands out as a visionary. Kevin Roche: Architecture as Environment comes to us at a good moment. In 2002 and 2003 this writer enjoyed the privilege of designing a major renovation of the Ezra and Cecile Zilkha Gallery, one of the component buildings of KRJDA’s Center for the Arts at Wesleyan University — a project that I had admired since it was new and I was an architecture student. Kevin Roche was, from my initial contact with his office through his attendance at the rededication of the Gallery, gracious and supportive. He was generous in sharing original drawings and early photographs to help guide our restoration work, and in spending time with me to discuss my renovation strategies. My close study of the Wesleyan University buildings and my interaction with their designer only deepened my esteem for Kevin Roche and his extraordinary body of work. Pelkonen, Eeva Liisa and Donald Albrecht, Eero Saarinen: Shaping the Future (New Haven: Yale University Press, 2006). The exhibition installation was designed by a team led by Dean Sakamoto, Yale School of Architecture’s Director of Exhibitions. The show is scheduled to travel; next to the Museum of the City of New York (September 27, 2011 – January 22, 2012), followed by the Centre de Design of the Université de Quebec a Montréal and the University of Toronto School of Architecture Galery, with future venues being planned. Private conversation, 19 February 2011. Like others to whom I spoke about Kevin Roche, the writer in question requested not to be named in this review. Private conversation, 7 April 2011.
best followup about architecture i've ever read. great respect for you. thank you. I agree with Carol, fantastic writing.